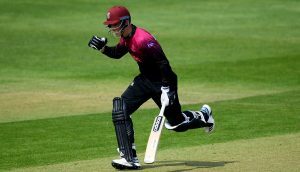 Jack Leach played a starring role as Somerset claimed a comprehensive victory over Nottinghamshire at Trent Bridge on day three of this Specsavers County Championship match. The England spinner finished with figures of six for 36 as his side triumphed by an innings and 14 runs to make it two wins out of two in the competition. Resuming on 25 for two, Ben Slater and Luke Fletcher took the total to 66 before the former was stumped by Steve Davies to become Leach’s first victim. Just six runs had been added when Leach struck again. He bamboozled Joe Clarke who had to return to the pavilion for just two. Fletcher was next to go when he was tempted in to hitting out by Leach and was caught at cover by Craig Overton. Davies and Leach combined again to dismiss Steven Mullaney and when Marcus Trescothick took a catch off Leach to remove Tom Moores the hosts found themselves on 111 for seven. Jack Brooks, who took two quick wickets last night, accounted for Luke Wood courtesy of another Trescothick catch at 120 for eight. 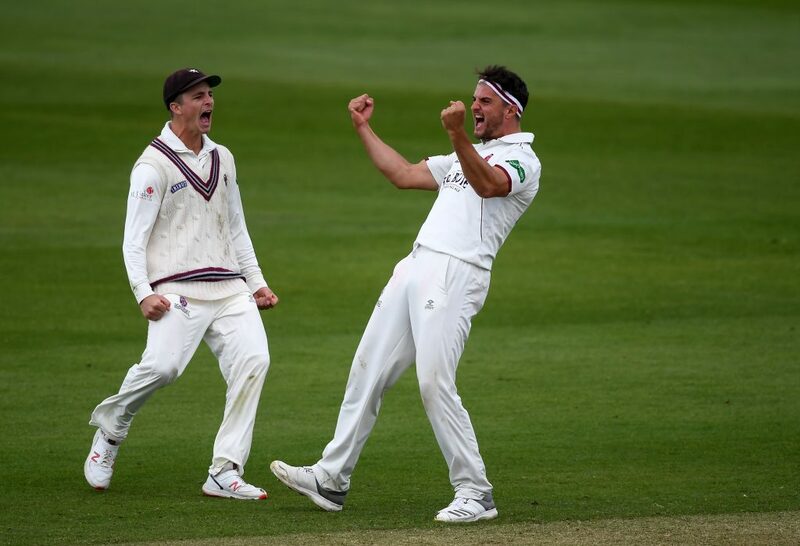 Leach trapped Samit Patel in front for 24 and it was left to Brooks (four for 22) to wrap up the Notts resistance when he had Stuart Broad caught by Azhar Ali to ensure that Somerset made their way back to the South West with 24 points under their belts. 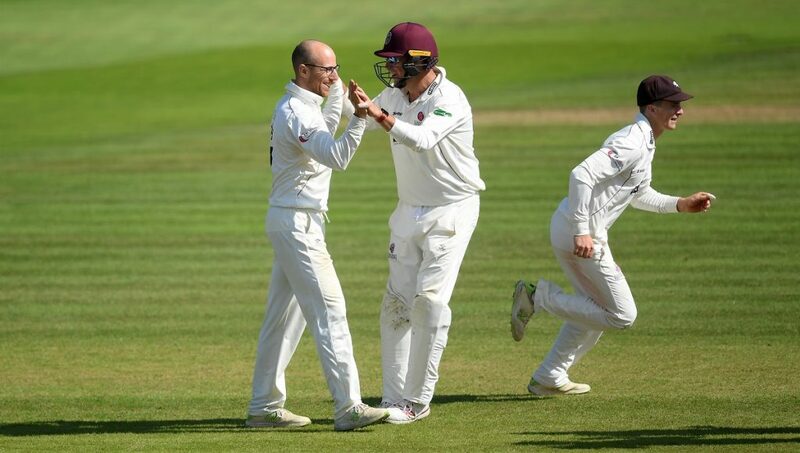 After the match Jack Leach said: “You want to be contributing to the team. The first couple of days in this match I felt like I hadn’t so I was desperate to contribute where I could, but the seamers had bowled brilliantly. Jack Brooks said: “In the context of the game the two wickets (yesterday evening) put a bit more pressure on them. We went out to attack and try and get one wicket, the bonus of two was fantastic. Our mindset throughout the game has been fantastic. 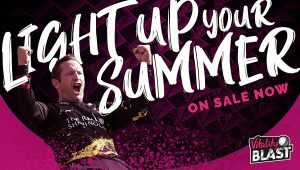 We probably let them get too many runs in the first innings if we’re going to be super-critical, but to come away with a three-day win against a strong side on their own patch, there’s nothing better.